When Mother's Day rolled around, I was inspired to write about our three boys, ages 14, 17, and 20. Well, it didn't happen. I'll blame it on being too busy with all my "mom" duties. Since I can count on the boys to continually supply hearty subject matter, I'll revisit that blog another day. But for now, here's a picture of them enjoying good ol' brother time--a mother's bragging rights. Right? 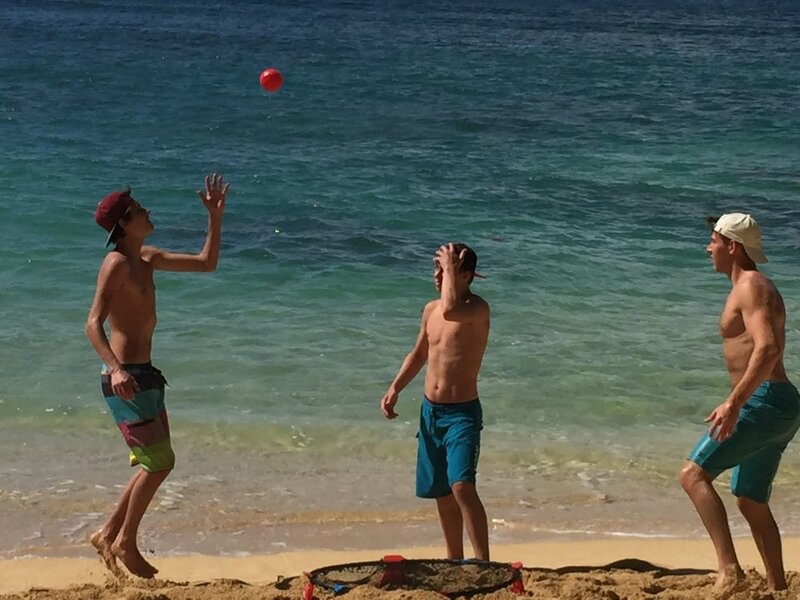 Adam, Graham, and Ian with a little friendly competition in Kauai. Instead, I'm honing in on Ian, our 20-year-old and oldest, because, quite frankly, I need the free therapy today. It's oddly comforting, how tossing out words and thoughts allow me to make sense of the myriad of emotions spiraling in my head and heart. Writing is strangely medicinal. I survived (barely) hugging and kissing him goodbye at the airport early this morning. After much anticipation and preparation, he is officially beginning his West Point career on June 29th. Six weeks of Boot Camp (fondly named "Beast") will be followed by the rigors of being an Army cadet and hockey player for the next four years. With one less deep voice, one less hand in the refrigerator, and one less occupied bed, our home misses him already. So, to soothe the pain, I'm treating myself to staring once again into the eyes of Ian--those magical, innocent eyes which would become his window to learn about life--the dreams, hopes, disappointments, but most of all, God's love. As a child, he was enraptured by a wild imagination--our adventurer--pirate, cowboy, knight, superhero...we traveled the world and beyond with him, if only in our minds. ow a young adult, he is committed to pursuing his best and helping others attain their dreams. And he is wildly passionate--passionate about that which has worth in the Lord's eyes--creating music, athletic endeavors, his education, honest and truthful conversation with friends, family, even new acquaintances, and his country's future. But without a doubt, he is most passionate about the Lord and seeking His direction, His peace, and His favor. As I wrap it up, the friction from my mixed emotions has been reduced. Now, I am soothed by the quiet time I took to reflect upon the gift of our son and to relish in the pride and love I have for him. 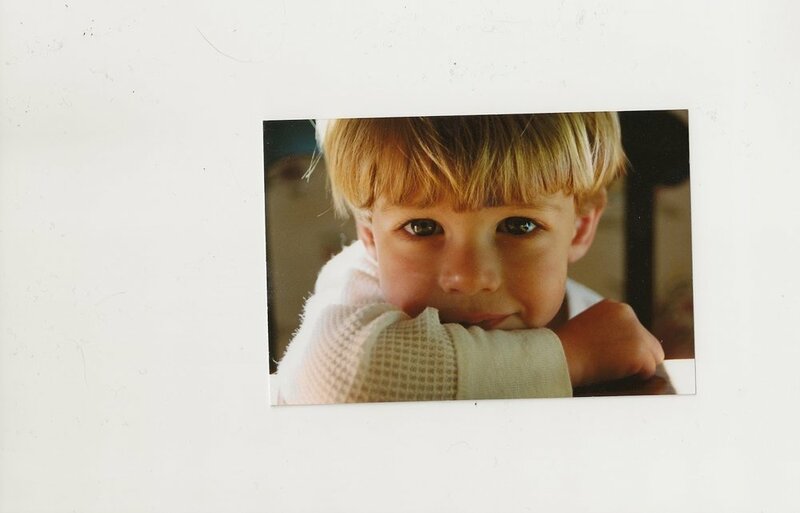 To be able to pay tribute to a beautiful child who has become an even more (if that was possible) beautiful adult...well, I consider myself bountifully blessed. Taking in just one of God's amazing creations on our wonderful family vacation - the Na Pali coastline in Kauai.